A lot of ground—and water—can be covered in 116 days. Crystal Cruises is excited to share the highlights of what’s in store for the 2022 World Cruise. The experience is going to be a trip of a lifetime, as the journey includes 55 UNESCO World Heritage Sites in 50 ports around the world. Travelers will be able to view famous monuments and learn the history of the various destinations visited. Crystal is especially excited for guests to experience the multiple overnights on this much-anticipated adventure. Overnight stays allow for visitors to explore a destination more in-depth. 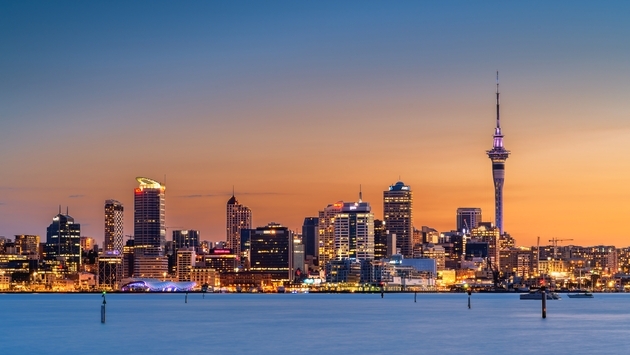 For example, after a fun day in Auckland, the evening brings with it fun restaurants and bars along with sunset kayaking. Sydney also has plenty of fun in the evening including a rooftop beer garden, fine dining options and dinner shows. Mumbai by night offers an evening adventure of viewing the Gateway of India. The evening light gives is just the right touch, perfect for capturing that perfect photo. Afterward, guests can enjoy Chowpatty Beach which is one of Mumbai’s evening hotspots. These destinations, in addition to Istanbul, Jerusalem, Safaga, Bali and so many others offer evening exploration for guests onboard the Crystal Cruises 2022 World Cruise. After a day well spent in these spectacular places, travelers will also be able to experience the exciting nights in destination as well. Visit the Crystal Insider to learn more about these overnight opportunities.